Surprise! 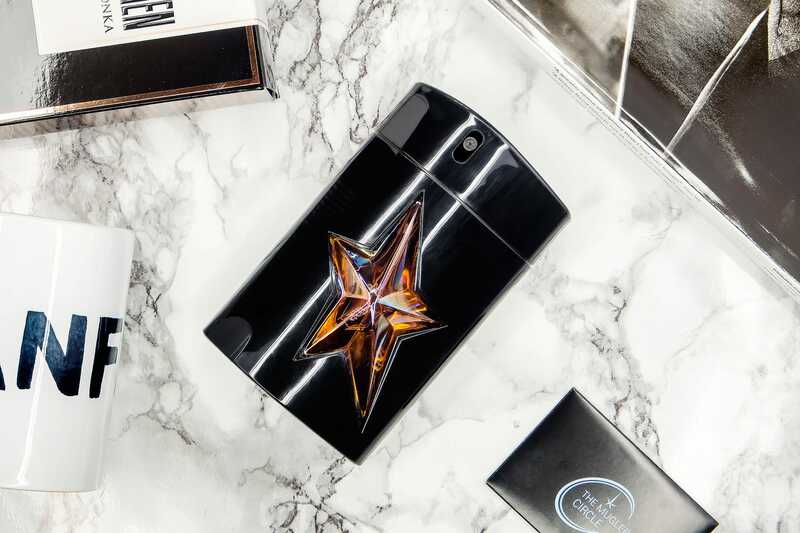 Yes, it’s this year’s Thierry Mugler AMEN Limited Edition and this one’s a doozy to make you drool! The original AMEN fragrance launched in 1996 (20 years ago!) and already comes pre-loaded with tonnes of tonka to go with caramel-vanilla, coffee, patchouli, honey and milk. Pure Tonka gives glorious emphasis to the chocolatey tonka bean but also, warms up the lavendar to give it a balance of gourmand and herbal. It’s absolutely beautiful. When wearing, it fluctuates between sweet, chocolate, sugar, gourmand, herbal/therapeutic. I cannot stop smelling myself as it’s different on each sniff, each as pleasing as the last. The first thing I said when testing this at the press office was “oh, this is sad”. Why you ask? Because I knew it was destined to only be a limited edition – just like Pure Coffee. I think both these fragrances are actually superior to the original which still remains one of my absolute favourite fragrances of all time. OK, I have one gripe. The bottle – it’s awful. Actually terrible. It’s the cheapest rubberised plastic that looks a little like tacky rubber/latex. It’s a dust and grime magnet; you have no idea how long it took to set the shot up and still had to Photoshop dust fragments out (my house is clean, before you ask!) and I’d only just removed it from the box – it had taken on loads of cardboard specks. Also AMEN has always been annoying hard to dispense in the rubber, but this one almost breaks your finger – hopefully like the others do, it’ll loosen up. AMEN Pure Tonka Limited Edition 2016 by Thierry Mugler will be available online and nationwide on the 4th June 2016. This article first appeared on MANFACE written by Thom Watson. It was published on Friday 20th May 2016 and was last updated on Monday 3rd April 2017 at 12:57pm. It's categorised under Oriental Fragrance, Thierry Mugler, Woody Fragrance where you'll find more related content.